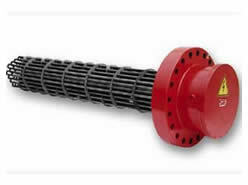 Carbon Flanged Immersion Heater 1-2000kW - Process Heating Services Ltd.
Any flange size and configuration available. Bespoke immersion heater – can be manufactured to suit the customers specification. Flameproof /explosion-proof) ATEX certified Exd constructions are also available. …or call Jamie on 01827 703228 to discuss your needs. Whilst the “Contacts” forms serve a purpose, there is no substitute for a telephone conversation, perhaps supplemented with a photograph or two to jamie@nullprocessheatingservices.com. Everybody’s applications is different, and we take a pride in getting everything right first time. The best way to achieve this is through a two way discussion. We look forward to helping you address your requirements. It’s a rare thing these days to find a company that is helpful, knowledgeable and reliable , but thats exactly what I found with Process Heating Services when I had an unusual element to replace. Jamie and Tim were super helpful. Very knowledgeable and quickly responsive to all emails. Made our brewery build that little bit easier which is much appreciated. They even upgraded our shipping to ensure quick delivery. Thanks for the help and guidance and patience guys. Cameron Manson - Little Brother Brewery AS Oslo. Great service. One of the best. If i had a possibility i would offer a pint or more for them. Hienoa palvelua. Panimolle saatiin sopivat vastukset neuvojen kera. Really helpful on the phone. Had what I wanted in stock & a quick despatch time. Definitely will use again. Brilliant same day service, excellent price & service. Will recommend and use again in the future! Knowledgeable, friendly and good service. Breweries – Our Favourite Customers. "The unexamined life is not worth living." - Socrates. “One million seconds comes out to be about 11½ days. A billion seconds is 32 years. And a trillion seconds is 32,000 years.” UK debt is £1.5 trillion, so if we pay back a pound a second, we will be in the black in early 50,0016. No worries. I could contain any content you like - or why not put in a WordPress widget area?